Henry -- Prince Harry's birth name -- has risen to the top of the charts for baby boy names in 2018, possibly on the strength of Prince Harry's wedding to Meghan Markle in May, Daily Telegraph reported. Royal names dominate the boys' list. Henry shares the top place with Arthur. After them come Edward, William and George. 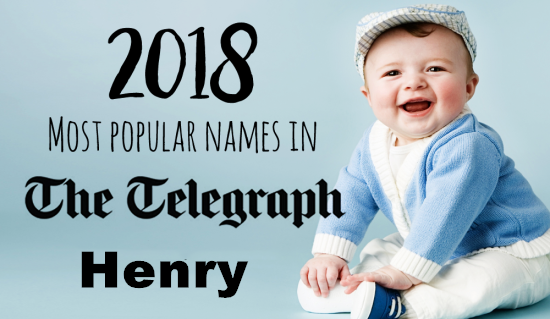 Susan Cole, a retired librarian, from Sutton, Surrey, who has been compiling the list for almost 50 years since 1969, said: "Henry now tops the list but Harry doesn't even make the top ten. Surprisingly Harry comes in at only 21st, well below Henry." Girls' names are not seemingly on royal message. It contains some unusual names high up including Ottilie at joint third and Cosima just outside the top ten. There are no Meghans, and no Kates or Catherines in the top 30. Margot and Matilda are joint top of the girls' list.